Earlier this week I spent a couple days touring wineries in Prince Edward County (the County, for short). I’ve visited the County a number of times and, quite simply, I’ve fallen in love with it. 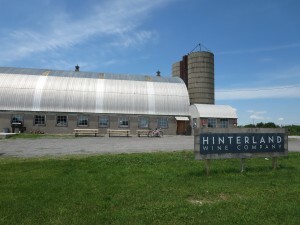 There’s definitely lots to explore there – from history (with its Loyalist past), to art (the County Arts Trail is as well known – and as well marked – as the Wine Route) , to food (Vickie’s Veggies comes to mind), cheese (The Black River Cheese Co. and Fifth Town Artisan Cheese), and an increasingly vibrant culinary scene. I was especially interested in stopping in at some of the newer ones. 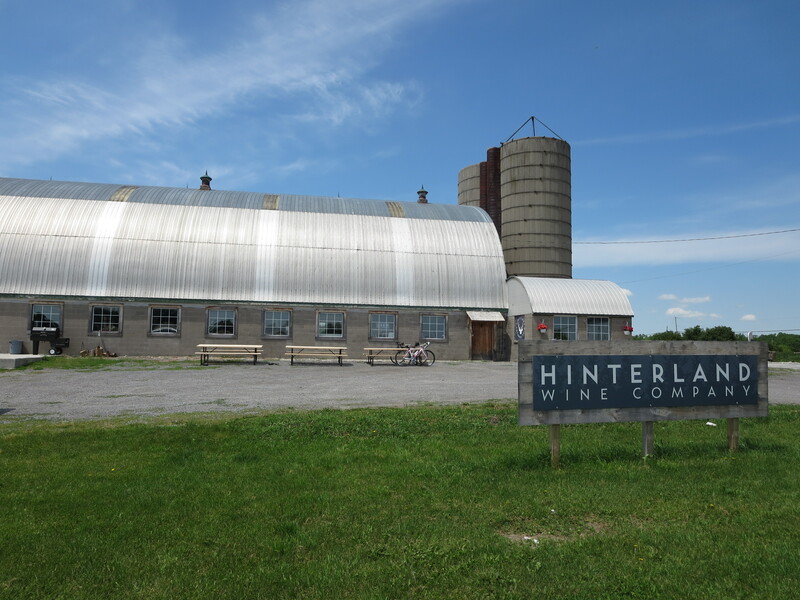 First on my list was Hinterland Wine Co. Vicki Samaras and her husband Jonas Newman have been in business a couple years and they specialize in making bubbly. (Reason enough to stop in, I know!) They’re off to a terrific – and ambitious – start. They produce sparkling wines using three methods: the Traditional Method (like the one used to make Champagne) the Charmat Process (the method used to make Prosecco and Charmats), and the Ancestral method, which I wasn’t familiar with. Jonas was kind enough to let me shoot a video as he explained the different methods. They also serve oysters and sandwiches, so it’s a great place to stop at after a morning exploring the County. Next on my list was The Old Third Vineyard. I’d seen the huge old barn that is the winery’s tasting room last time I was in the County, but the winery wasn’t open when I stopped. This time it was, and I had the chance to chat with co-owner Jens Korberg. They opened in 2010 and they focus on Pinot Noir – a variety that Korberg and Bruno Francios, the other owner and the winemaker – have always loved and that does particularly well in the County. The striking 1960s barn is both fragile looking and stately and the tasting bar area is simple but elegant. They produce about 1000 cases per year and thanks to a loyal following, they tend to sell out each vintage. 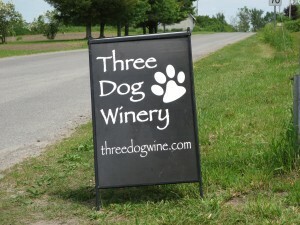 Also on my list was Three Dog Winery – the newest winery in the County. So new, in fact, that they’re having their Grand Opening this Saturday (June 14). Owners James and Sacha Squaire were busy putting last minute touches on things, but were happy to chat and let me sample their wines. The winery is on Fish Lake Road, which is at the north end of the County, off on its own – but it’s not as far off the beaten path as it may look on the map. 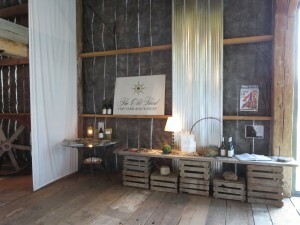 And finally, I happened upon Terra Cello Winery – one that wasn’t on my list at all. It’s been open a couple years but they don’t do much traditional advertising. 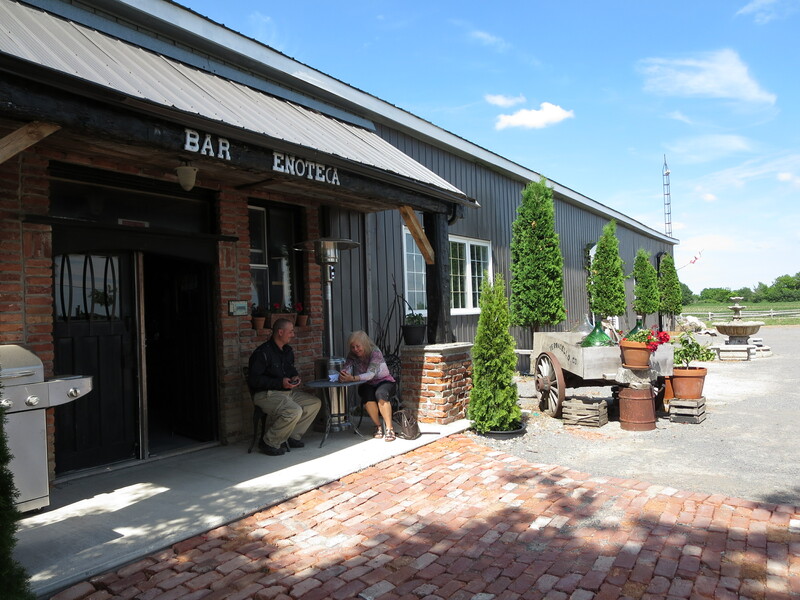 They have a sign that’s clearly visible from the road (they’re on County Road 1) and they have a lovely Tuscan style patio adjoining the rustic brick Enoteca. It was such an inviting setting – and it looked like a door was open – I decided to go in, even though the sign said closed. Owner/winemaker Tony Auciello and his daughter Bella were around and invited me in. After spending a few minutes there it’s clear that Tony is well on the way toward achieving his goal of bringing a bit of the Italian countryside and lifestyle to the County. Here’s a short video of Tony describing Terra Cello. I also stopped in at a few old favourites in the County. I’ll write a bit about them in another posting.